With spring comes antsy home owners getting ready to clean, repair, and renovate their spaces. Each year, we see popular trends and ideas for each room in the home. One of the most popular and significant renovation spots in a house is the kitchen. Between different cabinetry, updated fixtures, and new finishes, the kitchen typically gets the most attention. As spring comes to an end, the kitchen trends that have emerged this year are described below. The sudden desire for smart kitchens comes as no surprise as the tech industry has started to make its way into home design and features. The idea of a smart kitchen includes wireless appliances that work in tandem, voice-controlled lighting and increased safety through apps on our phones, according to HomeAdvisor home expert Dan DiClerico. Technology has entered our homes full force with gadgets like motion sense-equipped kitchen faucets, refrigerator alerts when groceries are running low, and even a device that monitors your eggs that tells you which ones are going bad. For nearly a decade, white kitchens have dominated the world of home design. Although white continues to be a popular shade for kitchen spaces, we are seeing more pops of color. White kitchens have stayed on trend but when the white fades, the room can easily look dingy and old. 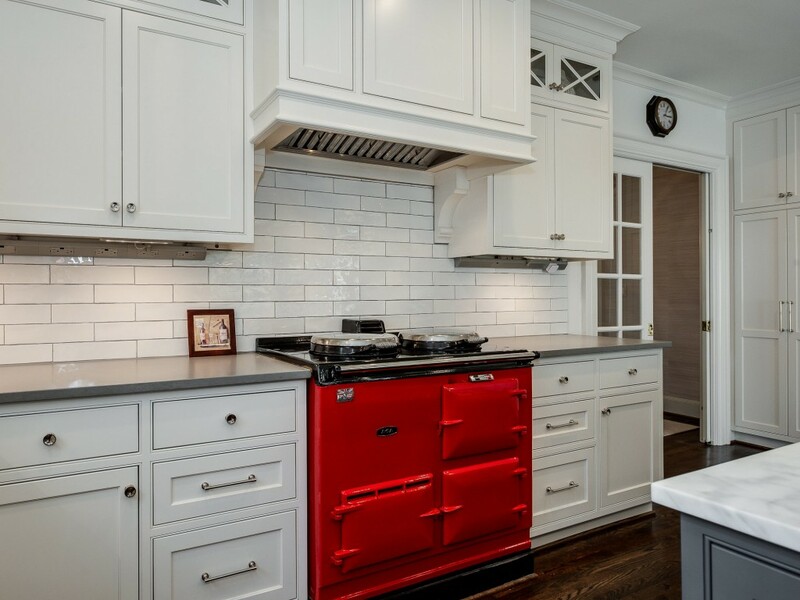 The kitchen below, courtesy of Helen Adams Realty’s Stan Perry, uses an appliance to get that fun pop of color. Let’s face it – stress free environments are what you would like to come home to. This usually means simplicity which you can’t have when you are constantly cleaning and maintaining rooms in a home. Simplicity in the kitchen can come from things like removing upper wall cabinets, if you can’t reach the storage spaces anyway. That is less space for you to clean and manage and creates a more modest aesthetic. Sebring has a portfolio of home remodeling ideas, tips and tricks that can be helpful for home owners looking for simplicity in the kitchen. 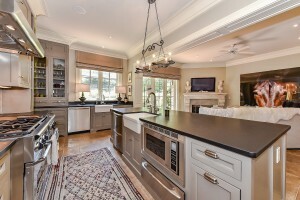 Kitchen islands have now become focal points of the kitchen and living space. As the hub of the kitchen, islands are becoming more useful by having storage, ovens, wine fridges, trash compacters and other kitchen features built in. With more features built in to that kitchen island, the rest of the room is free to be clean and simple. An example of this type of kitchen island is below, courtesy of a listing held by Frank and Laurens Adams of Helen Adams Realty.